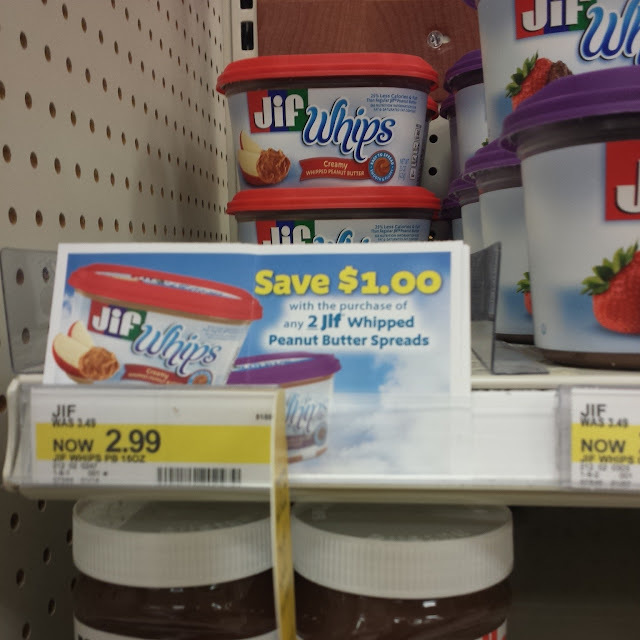 Jif Whipped Spread, $2.49 at Target! If you were lucky to find these Jif whipped tearpad coupons then here's a deal for you. And if you buy the Maple spread flavor you can save an additional 20% on Target Cartwheel! Total: $2.49 each wyb 2!